The Modern Gafa : TEKKO 2018: Panels to be Excited About! TEKKO 2018: Panels to be Excited About! It’s almost that time of year again! 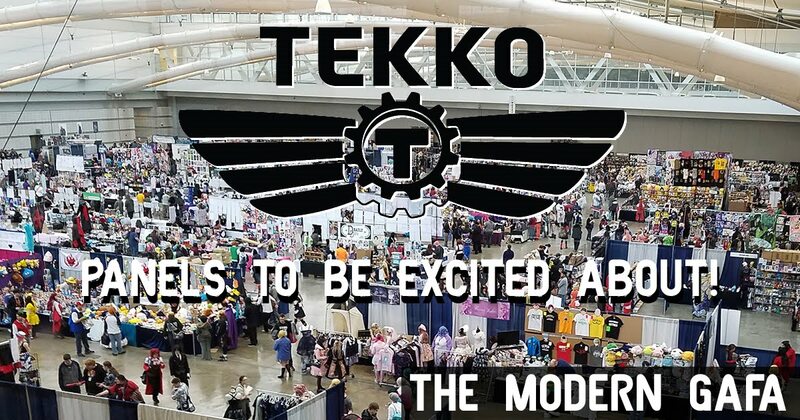 Tekko is Pittsburgh’s premiere convention for Japanese pop-culture and I’ve gone every year since 2014! This year is looking to be one of their biggest and best ever with enough guests to cast their own Infinity War. One of my favorite things about Tekko is the panels. Sitting in a room for an hour while someone who may or may not be an expert talks about something that they are super passionate about. So let’s take a look at some of the panels that I am excited about for this year! That’s right, for the first time ever Tekko will have a few panel rooms open on Thursday, which is usually a small preview night where there isn’t much going on anyway. If this is your first convention, you may want to check out Cons for 1st Timers, a short primer on everything you need to know for the weekend. Otherwise, meet up with friends, check out the game room, and maybe catch a screening of Mary and the Witch’s Flower, the first feature-length anime film from Studio Ponoc - founded by former members of Studio Ghibli. Get in early because you will not want to miss Yu-Gi-Oh! A to ZeXal. This is always my favorite panel every year. Hosted by a female Joey Wheeler, this panel explores 26 alphabetical fun facts related to the dumbest and best anime ever. Everything from manga and anime, CCG, and video games. Throughout the panel are trivia questions that always have a very complicated scoring algorithm that takes forever to set up - which is also fun to watch. It’s just a load of fun and always leaves me with happy feelings. It’s been a great way to end the con since it’s usually a Sunday panel. This year it’s Friday morning, so I’m gonna be comparing everything to it all weekend long! Cartoon Network fans may want to check out Anime in America: Legacy & Revival of Toonami. A lot of anime fans in my generation were introduced to anime through Toonami so it’s awesome that it made a comeback in recent years - it’s the perfect time for a Toonami panel. One of my panels falls on Friday. Power Rangers: 25 Years of American Tokusatsu, will be a celebration of the iconic television series for its 25th anniversary. I’ll be going through all kinds of topics so there should be something for newcomers and longtime fans alike! Stick around to the end cus there is gonna be trivia and prizes! There’s an RPG Maker panel this year? What? It’s called Games to Play in the Dark: RPG Maker Edition so I imagine it’s going to focus on horror games, but I am just shocked. Years of wanting toku and Digimon represented I never knew how badly I wanted an RPG Maker panel. If that’s not your jive (it’s okay, I know the panelist and myself makeup like half the RPG Maker community) there is a Steven Universe panel happening at the same time. That’s my new favorite show as of less than a year ago, so that’s going to be a hard decision. Later that night there is another toku panel, Roots of Tokusatsu. Yay for more toku content! My Star Wars & Japan panel is on Saturday! While my Power Rangers panel is basically an hour of having fun with other Power Rangers fans, this one will be a bit more informative and academic. It’s not quite Tekko Gakkou - their educational track of panels - but it’s probably as close as I’ll ever get. As with any panel I do, trivia and prizes will follow at the end as time allows. Stick around late at night for what I assume is another toku panel - Spider-Man Has A Giant WHAT? It’s way past my bedtime but it could be fun so check it out! I just hope the panelist doesn’t over pronounce it as Su-pai-da-man. Because that’s racist. Also, pour one out for Leopardon who got cut out of Ready Player One. There’s a bunch of other stuff that is related to my interests but doesn’t exactly interest me. Does that make sense? This is my fifth Tekko and after a while, a lot of panels start to feel the same. Literally anyone can submit one - they’re letting me do two - so they’re often hit or miss. I used to print out the schedule and highlight what I wanted to see, but usually, I’d end up missing half of those and wandering into some others that were surprisingly fun. Remember how I said I usually wander into random panels that are surprisingly fun - I said it in the very last sentence. One year I wandered into Japanese Weapons: Fact or Fiction and man was that a good time. I’m assuming it is the same people doing it again this year. When I saw it a few Tekkos ago it was two… I want to say black belts? But not with karate… with samurai weapons… Yeah. Two white guys dressed in samurai robes with real Japanese weapons give live demonstrations on the different kinds of weapons you see in anime, manga, and movies and then compare how they were used in reality. It was a lot of fun, definitely worth checking out. Honorable Mention: Anything that says “w/Charles” on the schedule. Charles Dunbar is an anthropologist and I guess doing panels at anime cons is his job. 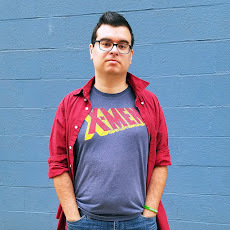 He’s also written articles for a bunch of geek sites. Anyway, I could listen to this guy read a phonebook. His panels are always super-duper insightful and super-duper entertaining. He’s doing half a dozen or so all weekend and if you don’t see at least one then you’re really missing out. What are you excited about for Tekko 2018? Let me know in the comments below!